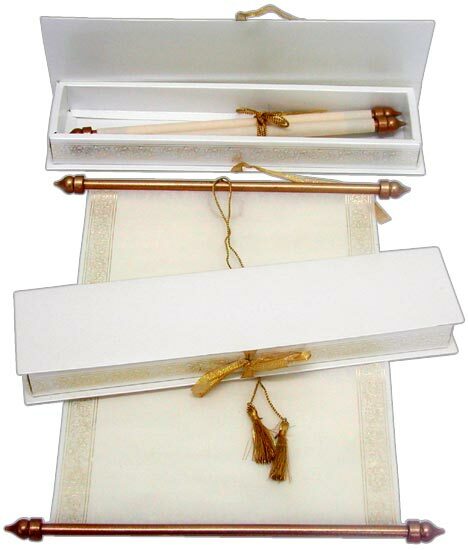 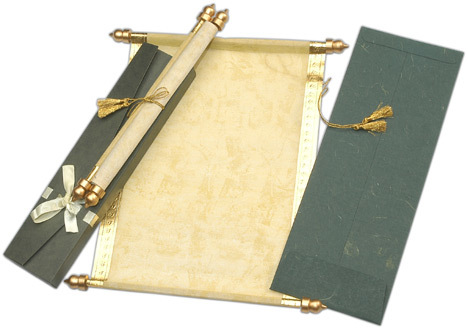 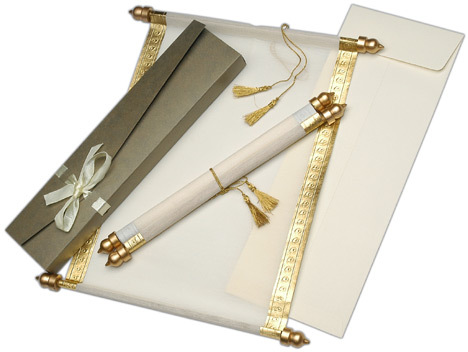 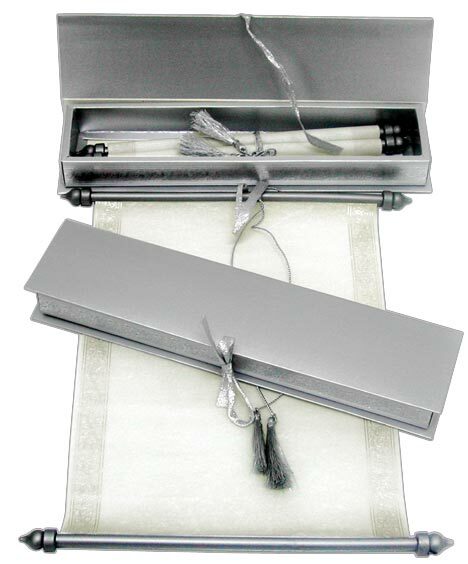 Scroll on wooly paper (65gsm) with golden bar, golden silk tassel and paper scroll box (300gsm) with satin ribbon; 170gsm mailing envelope. 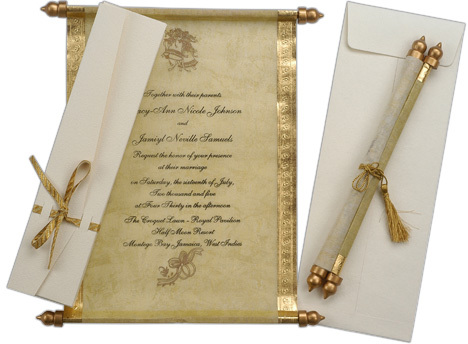 Light cloud texture on scroll with golden foil border on both sides gives this scroll a new and exciting look. 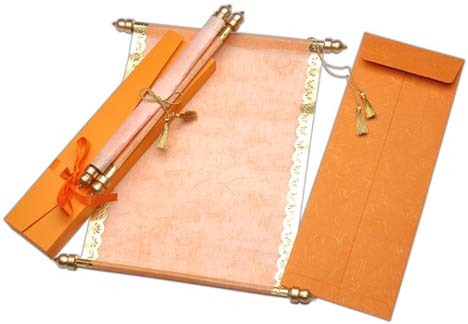 The scroll box with a satin ribbon adds to the beauty of the card. 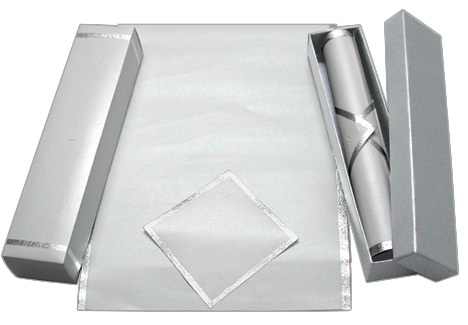 Comes with a matching mailer envelope. 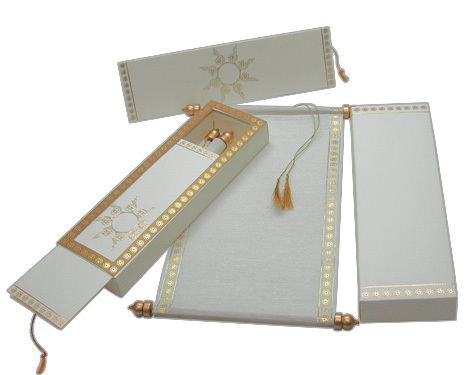 Matching RSVP Cards, Insert Cards, Direction Cards, Program Cards etc can be made. 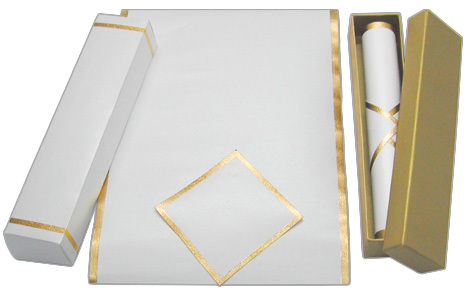 Every single detail can be personalized to your preferred colors. 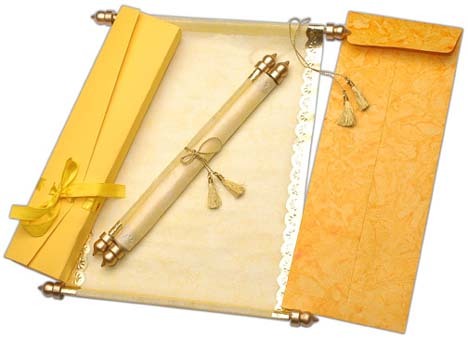 You can mix and match scrolls, boxes, tassels, etc. 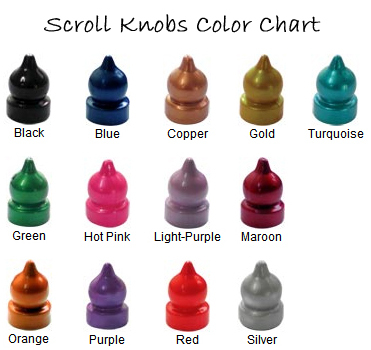 Multiple scroll knob colors available!